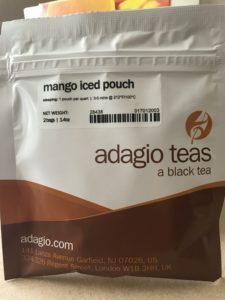 Adagio Orchard Iced Teas – Perfect for Summer? School is out, and Summer is officially here! That means making sure that there’s always iced tea ready in the fridge. Iced tea is as American as apple pie and it’s probably one of the best drinks to have on hand at all times. You can mix it with lemonade for an Arnold Palmer or brew up a cocktail with rum, lemon & lime juices, and mint. Adagio Teas was kind enough to let me pick out some teas to try on them. So I chose Adagio Orchard Iced Teas sampler. So I took some time to try the 3 iced teas included in the sampler. I did the experimenting and tried brewing them both with hot water and cold brew, so you don’t have to. First, here’s what comes in the sampler. 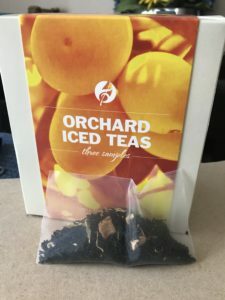 Peach Oolong Iced Tea – Oolong tea with the summer flavor of perfectly ripened fruit. Blood Orange Iced Tea – Deep vibrant color and sweet flavor. Good balance of orange peel and fruit juiciness. Mango Iced Tea – Citrusy Ceylon black tea, lush mango flavor. Juicy texture and floral aroma, creamy-dry finish. Adagio iced tea in pitcher brewed with boiling water. Super easy to make with boiling water. Strong tea with a balanced peach taste. Add a touch of simple syrup for a vice replacement for the hard to find San Benedetto Peach Iced Tea. 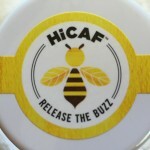 Caffeine free! This is a tisane. Better made with boiling water. Nice iced tea for late in the day when you don’t want caffeine. Mild tea. There is no black or green tea in it, so if you need an iced tea with a punch, pass by this one. 6 year old liked it. She’s not allowed to have caffeine and thought it was great she could join mommy in Summer tea time. Super easy to make with hot water. Bitter when following the directions on the packet. Just pouring it over ice doesn’t dilute it enough. Made 2 quarts/2 liters from 1 tea bag. Will use this to replace my Starbucks Mango Black Tea where they just add mango syrup to black tea. Cold brew didn’t make it strong enough for me, but again this seems to be my preference. Note: There’s 2 mango iced teas on their site. The other one is a custom blend. So follow this link or the one above to try the one that I tasted. Brew same way again – Boiling water only. And I won’t make a big batch of Blood Orange Iced Tea (just enough for my daughter). Buy again from Adagio – YES! I found the quality for the price was excellent. 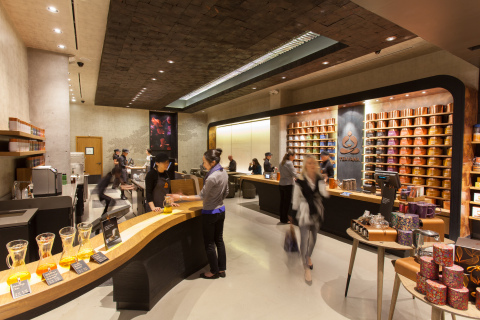 And you can create your own tea blends with Adagio. I will certainly be doing that down the road. Clearly I’m not a fan of cold brewing tea. The Adagio Orchard Iced Teas brewed nicely with boiling water and did not become super bitter. Usually brewing the tea super strong can cause it to be bitter, but there’s an easy solution for that. Baking soda. I don’t know the science behind it, but all southern sweet tea recipes worth their sugar call for a pinch to get rid of the bitterness. And it works. So overall, I highly recommend getting the black iced teas from Adagio. Just brew them with boiling water, and don’t do the cold brew if you want a strong tea. A few years ago while nicely enjoying my tea and reading the news, I was seeing mentions of the conditions of tea pickers in some areas of India. What I was reading was enough for me to put down my tea and look at it wondering just how badly the people who picked it might be suffering to make ends meet, feed their families, send their kids to school – everything most Westerners who drink tea in bucketfuls take for granted. This heartbreaking article about how thousands of young mothers in India are dying while producing tea will greatly open your eyes to the conditions of workers on mass production tea plantations. That is a lot of money for a little bit of tea and very little money for the people who pick it. Then I was seeing mentions of protests by tea plantation workers who just wanted enough to feed their kids eggs and send them to school. In the same article, they talk about the protests by plantation workers who just want a minimum wage. Wait! Didn’t they just say that the workers need ₹300($4.49USD) a day? I started thinking that there have to be options out there where we’re not drinking the blood, sweat and tears of people who have an incredibly steep uphill battle to improve their lives. While these protests mentioned in these articles happened a few years ago, the image above of tea pickers protesting is from February 11, 2017 in a different part of India. Where to find ethically produced teas? So I started looking into teas that are produced ethically. First I looked locally here in the US, and the options are small. 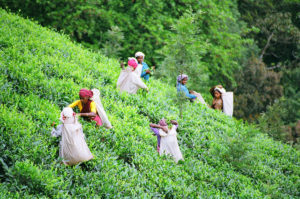 There is an organization that manufacturers and retailers can join to show that their teas are produced ethically, The Ethical Tea Partnership. They work with producers and NGOs to help with training of tea producers and certification that helps end consumers figure out if the tea has been produced in a way that helps improve the lives of its farmers. The producers do have to contribute money to this program, so it may be cost prohibitive to smaller operations to get the certification. I’ll do a subsequent article about this later. However, it was the concept of tea farmer co-ops that gave me real confidence that the tea I was drinking was helping the not only the farmers but the community where it’s produced. We hear about co-ops more when it comes to fair-trade coffee than we do when talking about tea. By their nature, co-ops are democratically organized and smaller in scale. And the people working on the farms not only have direct control over their conditions, they also get a fair share of the earnings for the tea sold that year. 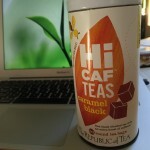 The first time that I tasted a tea from a co-op was when Teatulia (https://www.teatulia.com/about-us.htm) was at Whole Foods giving out samples. The man I spoke with there was from Teatulia and gave me a few samples to bring home. Their tea comes from a single garden in Northern Bangladesh at the base of the Himalayas. My first impression was that they were stronger and earthier than I’m used to, but good. The difference that I was tasting could very well be attributed to the fact that their tea is grown in Bangladesh. They’ve consistently placed at the North American Tea Championship for the past five years (2015 not included for some reason). 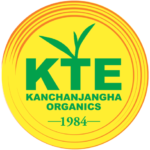 KTE Nepal Tea sent me samples to try their teas for free. Because black tea is my favorite (I need my caffeine), I tried their Kanchanjangha Noir first. My first reaction – I could drink this without milk; there’s very little bitterness and it’s smooth. Granted, after leaving it in the teapot for a while while I worked and sipped my tea, it brewed too long and got slightly bitter. But still no earthiness in it that isn’t an everyday taste I’m going after. There is a marked difference in quality than your usual black tea out there, even when compared to more well-known higher-end brands. I can definitely taste that this isn’t a mass produced tea and the whole leaves make quite a difference. I was able to pour it out of my teapot with very few leaves coming out. I’m not a certified tea taster, so I don’t know all the descriptions on how to describe the taste of tea. But because I’ve had so much tea, I know what I like. And I LOVE this tea. Bonus is that it’s organic. Right now until March 8, 2017 at 2pm PST you can help Nepal Tea grow their business with their Kickstarter and perhaps get a section of the farm all for yourself . $4000 – a plot of 1000 tea bushes will be named after you, you get the ENTIRE FIRST YEAR’S HARVEST of that plot, processed to your liking, and an option to private label it. $5000 – 7-day tour of the area with Nishchal Banskota, plus all the benefits of the $1000 level, and you get to go home with 5 POUNDS of tea. $10,000 – Build an eco-house for a family, and get 1000 tea bushes all to yourself. It’s National Ice Tea Day! Summer is in full swing for us here in California. School is out. The temperature hit 105°F this week. And we’ve been hanging out in the pool after summer camp. Today’s weird-for-California mugginess makes me think of living on the East Coast and visiting the South – humid days spent with a tall glass of iced tea with condensation dripping down the sides. And wouldn’t you know, it’s National Iced Tea Day. So here are some of my favorite recipes and some that I’m interested in trying. 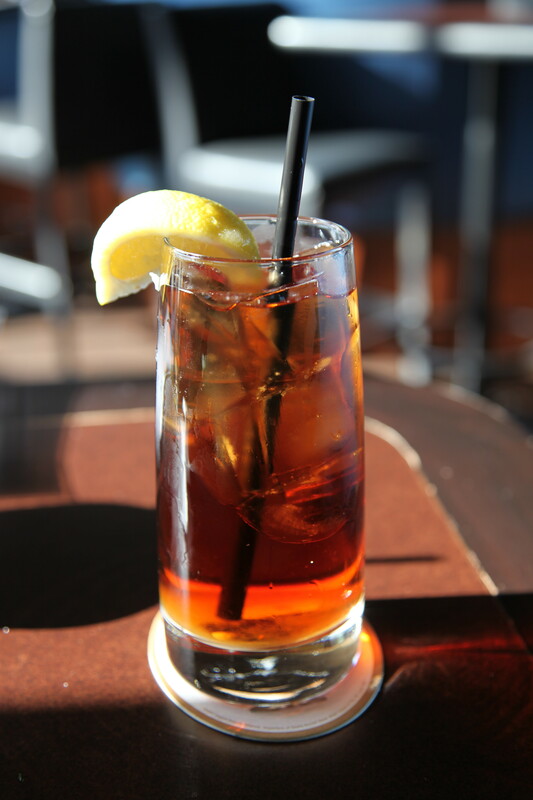 Southern Sweet Tea – Not just tea with sugar stirred in. Thai Iced Tea – Should have known it came from a mix. Iced Green Tea with Ginger – I had something similar to this one at the Amanyara Resort in Turks and Caicos. 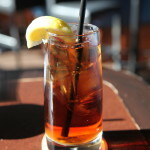 Long Island Nice Tea – A spicy, non-alcoholic version of a drink that actually has tea in it. Sun Tea – We used to make this a lot when I was a kid. One summer it was the only way we made it. Cold Brew Iced Tea – Never done this one, but I worry that I would taste the tea bag paper if it was in for so long. Would try with loose leaf tea. So those are a few recipes to try. Let me know if you like them or if you have any others you think I’d like. If you travel, you’ve probably been disappointed one time (or many) with the tea you’ve been served. I find that they tend to be weak throughout North America, if you’re not at someplace that takes pride in their teas. So I think I might have found an easy way to have good tea while travelling, especially camping. I can’t remember how I stumbled across Teadrop, but I’m glad I did. Luckily, the company sent me a free sampler to try recently. Teadrop is a local, to me, company in Los Gatos, California started by Sashee Chandran. Her parents hail from Sri Lanka and China (both big tea cultures), so it’s no wonder that she grew up to adore tea. She started Teadrop to find an answer for people who felt that the tea ‘ritual’ to make good tea was just too involved. 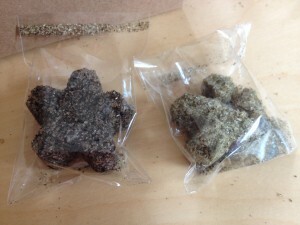 Teadrop tea comes in cute little shapes of tea, sugar and spice nicely blended together. 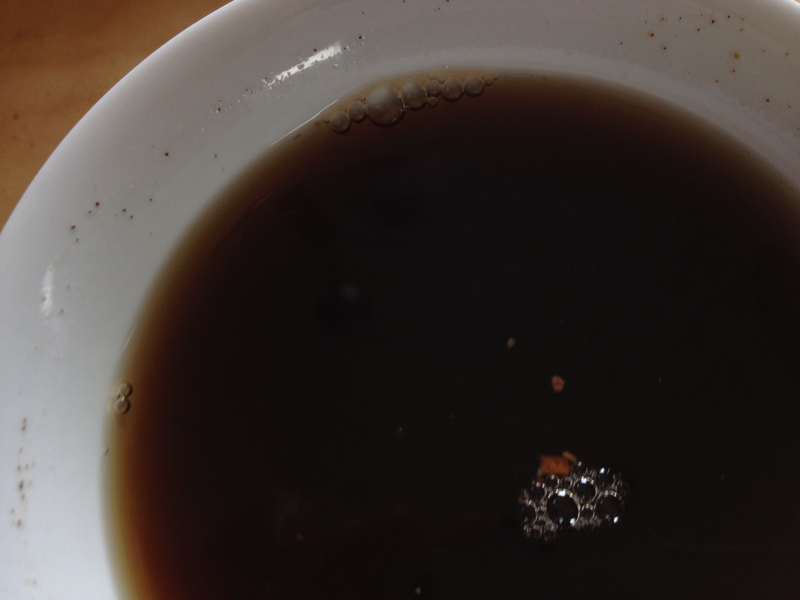 You place the lump/drop of tea into your teacup and pour boiling water on top. Voila, you have a perfect cup of tea – just add milk if necessary. My 3 year old daughter loved this tea. Most kids probably will, because they can easily get in on the tea preparation without much mess. We were given a free sampler from the company so we had a few to choose from – a citrus green, rose earl grey, cardamom, and vanilla white. Our favorite was the rose earl grey. Mainly because it’s a black tea and the little one doesn’t like the ‘spicy’ cardamom. I liked all of them, however the cardamom seemed strong to me. I would have to leave that one to have with a fairly heavy meal or something that really complemented the taste. But that’s just my taste. I’m sure there are others out there that would love it. Teadrop acts like an ‘instant’ tea, but isn’t really one. According to Teadrop, instant tea is derived from extracting tea from processed leaves, and then drying the concentrate to a powder form by freeze drying. 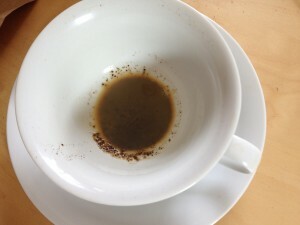 Teadrop is not considered an instant tea because the tea leaves are ground until they are super super fine that leaves a sediment on the bottom of the cup. The sediment might take a bit getting used to. The first cup I had, I gulped the last few sips and ate a bunch of the sediment. It tasted ok, but it felt gritty in my mouth. With the second cup I learned to drink the last little bit in tiny sips so that I don’t get a mouthful of sediment. Also, because this tea is so granular you may think there is sand in the packaging when you first open it. It’s not – it’s just that some of the sugar and tea have rubbed off during shipping – not enough rubs off to make any difference to the taste. Verdict – try it! Whether you’re at work and want a quick way to make the perfect cuppa, travelling in a weak tea zone, or want to minimize bulk on a camping trip, Teadrop offers a great solution to having a quickly made tea that tastes good. They’re $8 for an 8 pack on the Teadrop website. Artist Colette Copeland on Etsy makes these darling and interesting tea bag artist trading cards. I came across her on Pinterest, but the one on there had already sold of course. This one is currently for sale, but probably not for long. But she takes requests! So maybe if you ask nicely, she’ll make one especially for you. 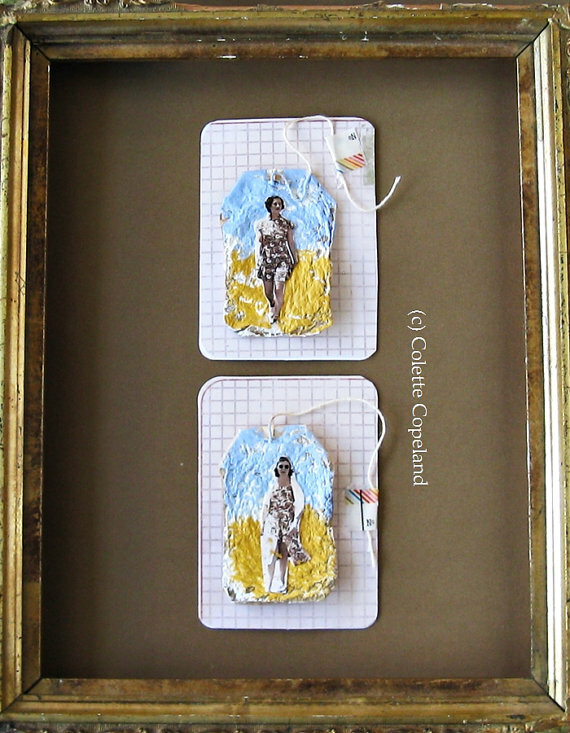 You can find this one here: ACEO ATC original artist trading cards set of by ColetteCopeland. So from what I understand, coffee drinkers don’t like tea because it’s just too weak – in taste and caffeine. Well Tea Forte has launched what they say will help fix that perception with their new NOIR pan-roasted black teas. The company says that they carefully crafted it using select leaves from the famed Jamguri tea garden in the Assam highlands in Northern India, and that NOIR tea offers a robust concentrated character to delight even the coffee purist. After reading about this tea, I did some searching on pan roasting black tea. I can’t find much. Mostly what I found had to do with green tea, and Hojicha is roasted to give it a nutty flavour. So if the effect is the same or similar on black tea, it might make for a more coffee-like flavor. 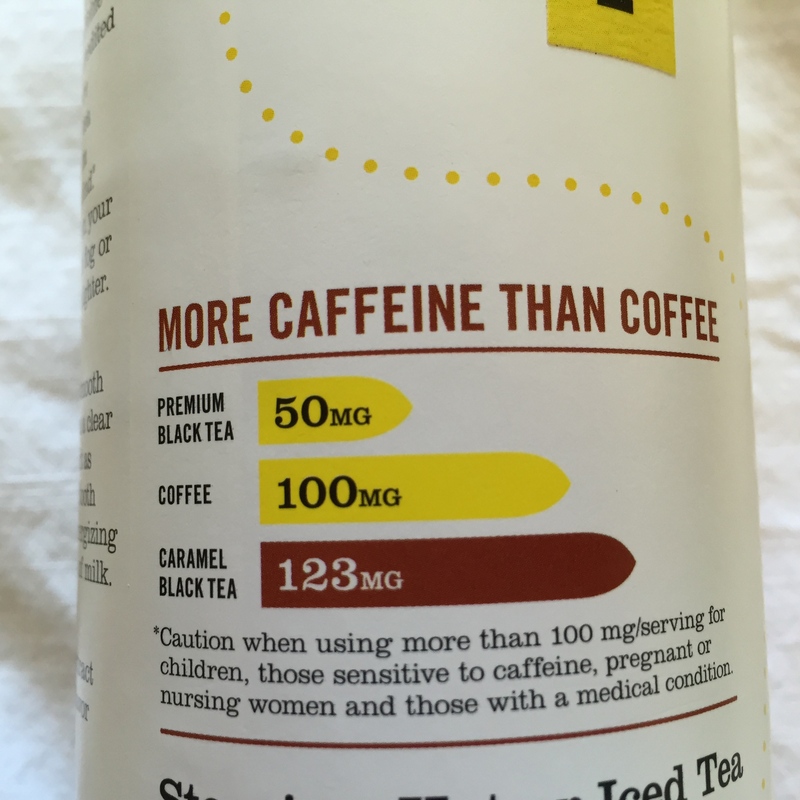 I don’t think the process would add any more caffeine, but Assam typically is fairly caffeinated with a FTGFOP Grade getting you about 86mg per 8 oz. That’s on par with a week coffee. But I haven’t found any information about the NOIR tea’s caffeine levels. 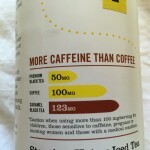 The most that their site says is that it’s a “Robust” level, which translates to 50-100mg. 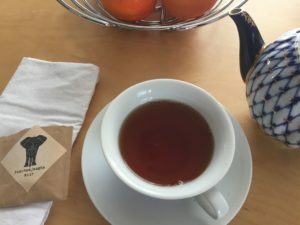 Tea Forte describes the NOIR teas as being full-bodied and aromatic, USDA organic, Fair Trade, and offer an invigorating, deep, robust steep, with malty hints and sweet nuances. Given how they’ve blended it, I suspect that it might have a similar bittersweet quality of a dark chocolate. 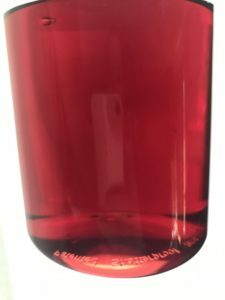 NOIR Black Cherry: A surrendering black tea with the exotic taste of orchid vanilla bean, licorice root and juicy ripe cherries. NOIR Caramel Nougat: A tantalizing tea with the taste of sweet creamy caramel and toasty roasted hazelnut with a buttery finish. NOIR Peach Brulee: A refreshing black tea offering a masterful blend fragrant with floral and fruit. NOIR Blood Orange: An enlivening tea with the distinct, sweet taste of Moro “deep blood orange”. NOIR Chocolate Rose: An indulgent, naturally sweet cup with a deep chocolate taste and pleasing floral finish. 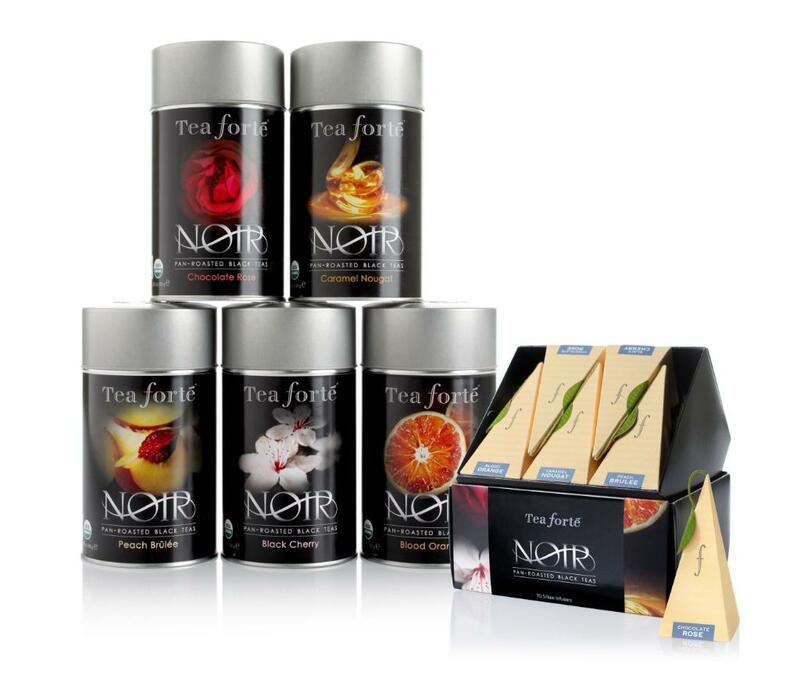 NOIR is available in Tea Forte’s signature pyramid infusers or loose tea canisters. I’m curious to try it. What about you? Here in California, we’re not really thinking about the cold weather yet. People have started putting on their fireplaces at night when it gets down to about 50F, but having lived in Canada…Californians are wimps! But just because it isn’t freezing here doesn’t mean that you’re not experiencing that lovely crisp Autumn air. I stumbled across this delicious sounding recipe from The Kitchn via StupidDope. And thought you might like it. 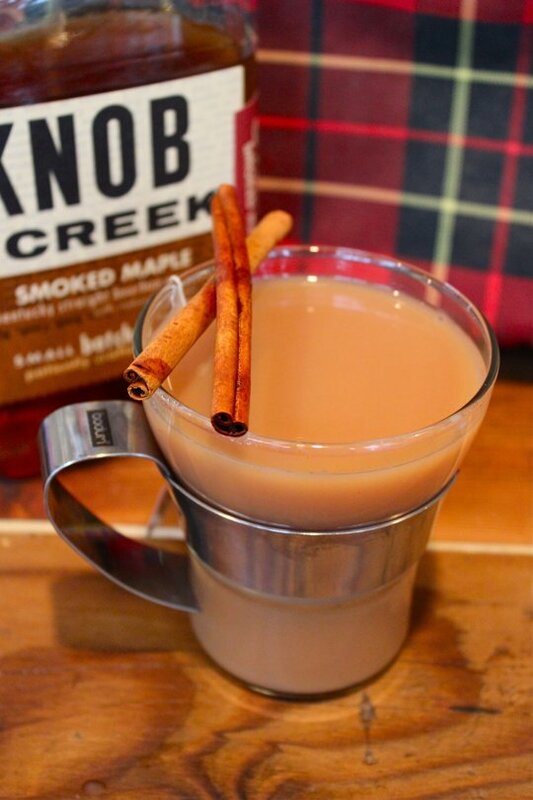 And what’s not to like: maple, bourbon, bacon and chai! It might be good to have on hand after trick or treating, a nice hike, Thanksgiving dinner, or caroling,or just because you want one. Fall Camping Cocktail Recipe: Smoked Maple Bourbon Chai Tea Toddy The 10-Minute Happy Hour | The Kitchn. The next great steeping travel mug? Would you invest? So have you ever tried one of those French press tea travel mugs? I have one. And it’s okay. But if I don’t drink the tea right away, then the leaves at the bottom steep for way too long and the tea at the end gets super strong, bitter, or just gross. Plus it’s not an awesome solution if you put milk in your tea either. And it seems like I’m not the only one that feels this way. Entrepreneur and tea-enthusiast Joey Landford of The Tea Merchant launched a Kickstarter campaign to fund the production of a new type of travel tumbler that he hopes will revolutionize how busy people enjoy their tea. He says it can be used for coffee too, but we don’t care about that around here. Frustrated with the current offerings, Joey spent months developing a steeping system that would give him complete control over the brewing of his tea (and coffee, blech). In the end he says he found a design that eliminates the bitter taste created when the leaves brew in the water for too long. Among other features, his Easy Steep tumbler prototype includes a specially designed filter that locks onto the lid to prevent over-steeping as well as a convenient storage area for keeping additional tea, coffee or sugar packets. At the New York City Tea and Coffee Festival, a consumer-oriented show, Joey debuted his Easy Steep Tumbler prototype, and he says the response was enthusiastic, “Everyone I talked to loved it! Most, in fact were blown away.” So based on that response, Joey created a Kickstarter campaign to raise funds to bring his design into production. There are several investment levels with the basic one starting at $30, which gets you Easy Steep tumbler. I’ve never funded a Kickstarter before, so not sure if I’ll fund this one. What about you? Do you think this is a design that’ll work? 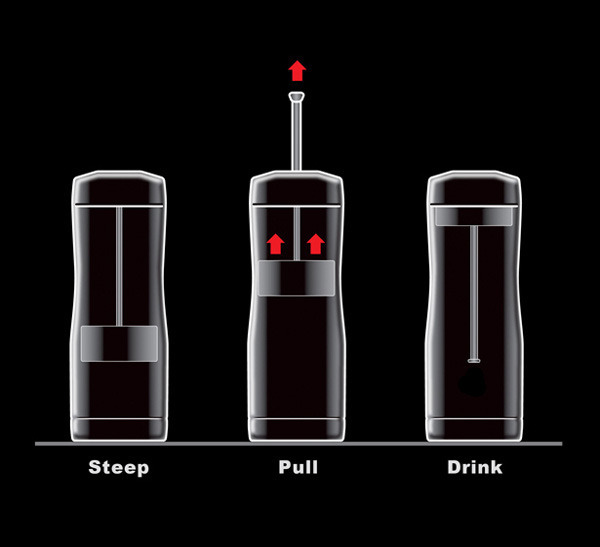 Easy Steep, The To-Go Tumbler by Joey Landford — Kickstarter.